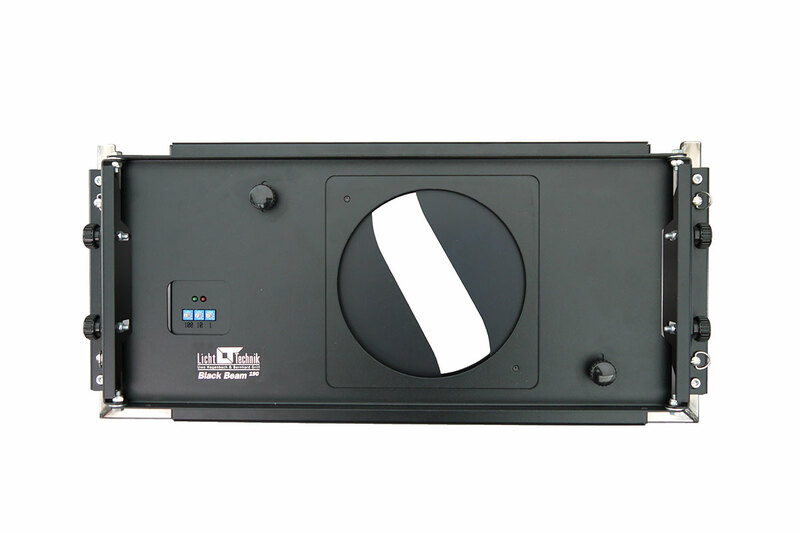 The shutter BlackBeam enables a complete blackout for beamers and projectors up to 190mm lens diameter. The device can be mounted in front of different projectors of different manufacturer with the variable fixture. The adjustable holders allow also a use with asymetric and movable lenses. The fast closing enables blackouts in 0.3 seconds.